CUE thousands of 13 to 21 year old Americans clad in t-shirts emblazoned with the image of notorious Ugandan terrorist Joseph Kony, modelled on Barack Obama’s ‘Hope’ poster from his 2008 election campaign. 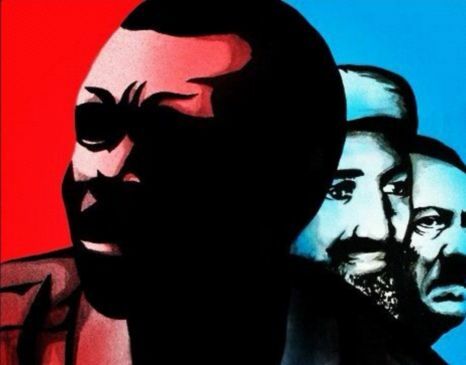 But Kony’s has two other figures in the background: Adolf Hitler and Osama bin Laden, clearly suggesting that Kony is the latest spawn on evil’s evolutionary plane. Their mission? To make the egregious Lord’s Resistance Army leader ‘famous’ and thus sustain public support of the US military’s deployment in central Africa ostensibly to help capture Kony and bring him to justice. This is the footage from a newly released controversial 30-minute documentary produced by the American charity Invisible Children. It has since gone viral, accounting for more than 85 million views on the video sharing site Youtube. Unsurprisingly, many reviewers have roundly condemned it as a psychological operations piece for US military intervention in central Africa. 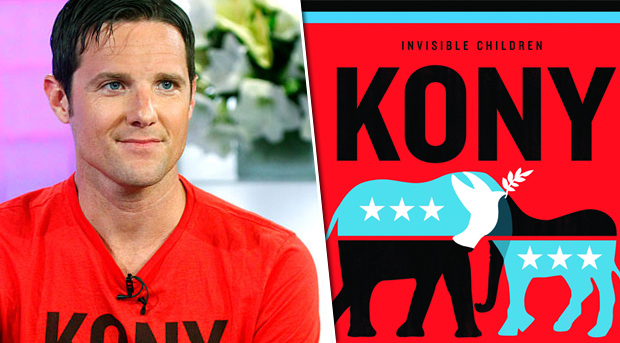 Invisible Children is fronted by 33 year-old Jason Russell, whose work with children traumatised by LRA raids among the Acholi communities of northern Uganda inspired him to set up the charity. Using slick production techniques and a simplistic narrative riding on good guy-bad guy binaries, the film invokes the default paternalism of some western humanitarian agencies towards ‘helpless’ Africa. Agency for the resolution of the identified crisis is exported to the west, and Africans appear only as victims and advocates offering plaintive calls for help. The heartrending story of its Ugandan child protagonist, Jacob Acaye, who was abducted into Kony’s army and forced to watch his brother killed, is the big stick with which the film clobbers the moral conscience of its youthful viewers. It then challenges them to assuage their assaulted sense of humanity by taking ‘social action to end the use of child soldiers […] and restore LRA-affected communities in central Africa to peace and prosperity’. There are other founded criticisms levelled against the film, which was both narrated and directed by Russell. The first is that it inaccurately lays all the blame for the atrocities committed against northern Ugandan civilians on Kony’s LRA alone and totally absolves President Yoweri Museveni’s government of any wrongdoing. Human rights campaigners have documented and highlighted the atrocities of Museveni’s government against the Acholi people, including his policy of forcibly herding them into ‘protective camps’, where many of them fell sick and died. According to figures from Uganda’s own health ministry, the excess mortality rate in these camps was approximately 1000 persons per week, a staggering statistic comparable to those killed by the LRA in the worst year. Secondly, the campaign to get Kony appears anachronistic given that conflict in northern Uganda has largely quietened and Kony himself is widely believed to have long since left Uganda. The country’s Prime Minister, smarting from the negative publicity generated around the image of his country, adopted the same social media techniques employed by Invisible Children to issue a rebuttal of their claims. In a nine minute Youtube video, Amama Mbabazi said, ‘The Kony 2012 campaign fails to make one crucial point clear. Joseph Kony is not in Uganda.’ Proving as much a social media literate as Invisible Children itself, Mbabazi then took to Twitter to call out the same celebrities the charity had targeted in its campaign – the likes of Lady Gaga, Rihanna and Ryan Seacrest - and invited them to ‘visit our proud nation and see the peace that exists’. As if spurred by the Kony 2012 campaign, the African Union late last month announced the deployment of a 5000-strong force into central Africa to hunt for Kony and his LRA militants. 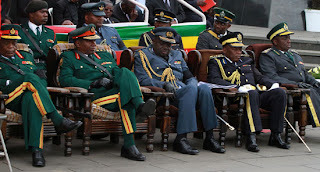 The force, comprising troops from Uganda, the Democratic Republic of Congo, South Sudan and the Central African Republic, will be under Ugandan command. Francisco Madeira, the AU’s special envoy for the LRA, was quoted by Al-Jazeera as saying that the force would be based in the South Sudan city of Yambio, close to the border with the DRC. He argues that addressing ‘the problem called the LRA does not call for a military operation’. Indeed, many observers have queried the basis of the proposed rapid military mobilisation in the central African region and feel strongly unconvinced that the LRA is the reason for it. 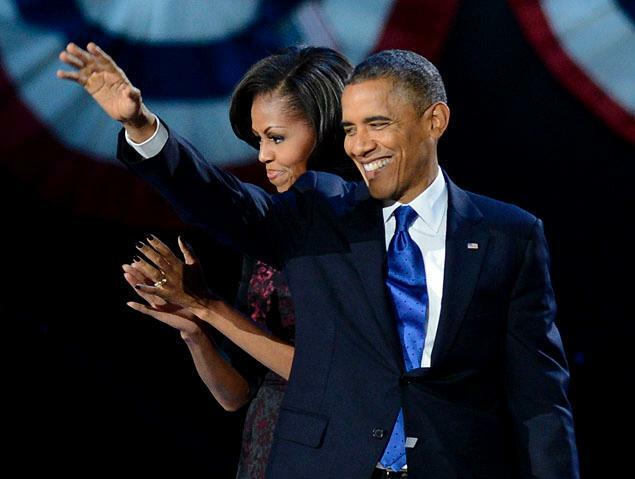 President Barack Obama’s deployment late last year of 100 US special forces to the region to assist this would-be AU force in the hunt for Kony under the aegis of the United States Africa Command (Africom) casts a dark shadow over this Kony brouhaha. And money does loom large in Invisible Children’s profile. The Guardian revealed the charity to be a ‘cash-rich operation’ whose annual income in 2011 tripled to nearly $9m from foundations as well as personal donations. A quarter of this was spent on travel and film-making, $1.7m went to US employee salaries, $850,000 in film production costs, $244,000 in ‘professional services’, and $1.07 million in travel expenses. ‘That splitting of South Sudan and its oil, for those who did not follow it closely, was a consequence of sending in US and NATO special forces to ‘stop genocide’ in Darfur,’ he claimed. Branch said the most serious problems northern Ugandans face today have little to do with Kony. ‘The most pressing are over land. 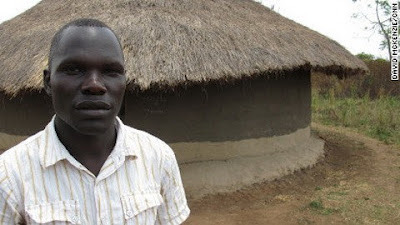 Land speculators and so-called investors, many foreign, in collaboration with the Ugandan government and military, are grabbing the land of the Acholi people in northern Uganda, land that they were forced off a decade ago when the government herded them into internment camps,’ he said. The US has reason to be impressed by the progress of its military and strategic objectives so far in central/east Africa. Uganda, Ethiopia and Kenya have all been willingly conscripted into American proxies in its war on terror. All three countries have sent their armies into Somalia to battle Islamic extremists. Uganda in particular, has recently received $45m in military support from the US, with the promise of more. Africom is keen to move its headquarters from Germany to the continent where its strategic objectives include ensuring supply lines for energy and other materials from the continent, and to checkmate the rise of China in Africa. Africa is now a region of vital importance to national security in the US. 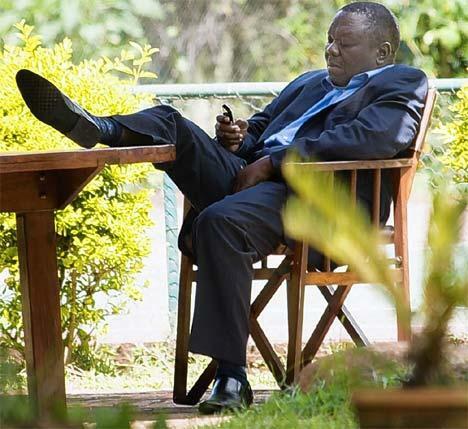 I've returned to Zimbabwe despite having been raised in the UK. Although the decision as your post says is a personal one I do believe African attitudes continue to shape reality. UK or US being a land of milk and honey is not god given or a fact of nature. Diasporans, I think, need to do more to change the reality back home rather than using it as an excuse to stay away from home. Otherwise you come across as nothing more than a consumer waiting for 'perfect' conditions before you return. Also, I agree that success stories of returnees will help so I'm gonna do my bit! I am going to watch out for brussels. I'll appreciate if you continue this in future. A lot of people will be benefited from your writing. Cheers! opening in Internet Explorer, it's got some overlapping issues. I simply wanted to give you a quick heads up! Apart from that, fantastic site! I've learn some excellent stuff here. Certainly worth bookmarking for revisiting. I surprise how a lot effort you place to create any such fantastic informative web site.